Over the last few years, a number of companies have left the solid wood business due to the severe industry downturn. Only a few have been able to see the big, longer term bright picture—and take a deep breath, and enter the business. One of those few was B.C.’s Conifex Inc., which purchased sawmills in the B.C. Interior, in Fort St. James and Mackenzie, with annual production capacity of 745 million board feet. 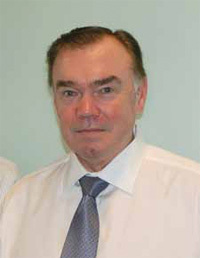 As part of our ongoing interviews with forest company CEOs, Logging and Sawmilling Journal Editor Paul MacDonald sat down with Conifex CEO Ken Shields to get some insight on the reasons why he chose to set up a new forest company in the midst of an industry downturn, and how he sees the future of the industry. Some people might have questioned your sanity when you invested in the forest industry and set up Conifex in 2008, considering what was going on in the industry and the economy. What did you see that made you want to invest in the industry and start a new forest company? At the time we put our capital to work in 2008, several people did think that we were insane, and didn’t know what we were doing. And now, a lot of the people who said that are a little more polite, and they are saying we were early then, and now it’s clear what we had in mind. Basically, there were two major attractions to the industry. One was the fact that the value of the assets were very low, reflecting the financial and economic crisis we were in at the time. And secondly, we felt that over time the mountain pine beetle would have the effect of restricting the amount of lumber produced in B.C. —and that should lead to a more favourable supply/demand balance in favour of the producer, rather than the consumer. When I do an assessment as to what our thinking was in 2008 and compare and contrast it with what is happening today, the work we did on the likely developments on the lumber supply side has been very accurate. However, we misread the depth and duration of the downturn in U.S. housing construction. But fortunately for us, the growth and development in the China market has lead to a more favourable lumber pricing scenario than we would have had, had we just been confined to the U.S. market. In terms of looking at our mills today, the former owners of both the Mackenzie and Fort St. James sawmills used to ship 75 to 80 per cent of their product to the U.S. market We’re probably running at less than half that, at under 40 per cent. A majority of our production over the last 18 months has found its way into China and Japan, which are two markets that are really benefiting our company and allowing us to keep our people at work. LSJ: Considering your background and experience in the forest industry, how has that influenced setting up and running Conifex? KS: I had the great pleasure of working with Ike Barber of Slocan Forest Products in 1978, helping him secure the debt and equity capital that was required for the original Slocan Forest Products mill in the Slocan Valley in B.C. With Slocan Forest Products, I saw how a very good company could be developed over the years, it showed good growth and good profitability. We thought there was a similar opportunity to do that in B.C in 2008. The one main emphasis that is different with us is that we’ve oriented our two acquisitions to the more northerly part of the province, where there is generally more spruce and less pine, and we expect to be better situated when the mountain pine beetle epidemic runs its full course. LSJ: Over the last few years, have you had any second thoughts about getting involved with the industry, considering how deep and long the downturn has been? KS: Naturally, there are some times when you question your business judgment. Fortunately for us, the growth and development of the Chinese market and the lumber being shipped there from B.C. is equivalent to about 300,000 U.S. single family starts, and additionally the supply curtailments from the mountain pine beetle we estimated will be equivalent to 400,000 single family starts. So as we see the business, we don’t need to get back to 2 million U.S. housing starts. If we’re at 1.3 million or so, we think the market will be very strong due to Chinese demand and supply curtailments due to the mountain pine beetle. LSJ: You’ve got a strong focus on the Japanese high value market, too. KS: One of the consequences of the mountain pine beetle epidemic in B.C. is that we have a degrading sawlog base in the areas that are heavy towards pine and that results in smaller volumes of J-grade lumber being available. We are situated in a different fibre basket, and it supports the production of J-grade and what I would call near J-grade lumber, and so we think our fibre basket will allow us to ship probably two or three times the proportion of production to Japan compared to a typical B.C. Interior sawmill. 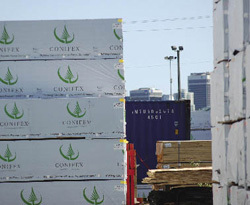 LSJ: With Conifex just having two sawmilling operations, do you view the company as being more nimble than the big companies, the Canfor’s and West Fraser’s of the world? KS: I don’t know the inner workings of Canfor and West Fraser, but I can tell you with our size, we expect our mill nets to do well relative to the large companies for two reasons. One, because there are smaller volumes involved, we can move between the three largest markets quicker and more effectively than the larger companies can. Some of the larger companies have established long running programs where they always direct a certain portion of their production to a certain market. But we can be more flexible. Another option that is available to us is that we can use lumber futures to hedge a meaningful part of our production if we want to, but if we were several times our current size, the volume of potential hedging activity is so modest that we really couldn’t be as effective in that area. So we think our size does give us some additional market flexibility and a better opportunity to price protect our lumber output. LSJ: How do you see the rebuilding efforts after the Japanese tsunami, how much of an impact is that going to have going forward? KS: As we see the Japanese market, the main driver of that market is their long and rich history for preferring lumber, both for its load bearing characteristics and appearance characteristics, and that’s why it is the premier lumber market. And I toured the tsunami-impacted area in November, and the devastation that has taken place there is heart stopping, and there will be some rebuilding done. But when you take a look at a country that has about 900,000 housing starts a year, and there were something like 100,000 homes destroyed and some 100,000 homes that have to be substantially rebuilt, relative to the basic core demand in Japan, it’s not that significant. And I’d like to say that I’d rather we got marketing assists from positive developments, such as an improvement in the U.S. economy, rather than tragic natural disasters, such as the effects of the Japanese tsunami. LSJ: What’s your view of the China market right now? KS: China is an important and growing market for B.C. Very simply put, it’s the largest country in the world, and it’s also the country in the world with the best rate of economic growth. In the short term, when the U.S. had a soft middle part of 2011, B.C. lumber producers oversupplied the Chinese market. I think it will take quite a few months for the inventories to become rebalanced in China. Most of the inventory problems are in the low grade; the medium quality lumber grades seem to be in much better balance. Our own experience is that our order flow into China for our #2 and better product has remained solid, but the consumer interest in lower grade lumber has fallen off and we expect it to remain subdued until the inventory correction has run its course. LSJ: With the U.S., there seems to be good news some days about the economy, and bad news other days. What are your thoughts on the U.S. market for lumber and housing starts? KS: The consensus view is there will be a very slow recovery for the construction industry in the U.S. and it will probably be a very slow recovery in residential construction activity. It will probably be 2013 before we start approaching the one million housing starts level. Part of my background is in the investment business, and it strikes me that so many times the consensus view turns out to be wrong. And that’s the feeling I have now regarding the U.S., based on all the time I spent there with the Raymond James organization. There are a lot of strengths to the U.S. economy and they really want to see their economy improve to get employment back. As we see it, the U.S. is always going to be a core market for us. We’re always going to work hard to have a very solid customer base in that market. For the last eight or ten weeks or so, the prices and buyer interest has been edging up very solidly. We think the supply chain inventories are very low in the U.S., and if there is any bounce in housing, there could be quite a dramatic impact on prices. LSJ: The company recently made an acquisition on the marketing and distribution side of the business, purchasing Welco Lumber Ltd. What benefits does this bring to Conifex? KS: The reason we were so interested in buying the part of the Welco business that handled Conifex sales volume is that we believe that we have a bit of a different approach to marketing with our emphasis on the three main markets, rather than just one of the markets. And our product mix is a bit different—we have more of the upper grade or premium quality lumber. And then with the #2 and better specifications, we have more of a normal distribution of output, whereas some of the people who have a less rich fibre base would be clustered toward the low end of the specifications. This caused us to think that it is hard for us to use a conventional marketing agent to market unconventionally and what we believe is a differentiated product. So we thought it made a lot of business sense to us to internalize the sales and logistics function. Additionally, with the parts of the Welco business that were not associated with Conifex, there was merit for them to be separate and not be aligned with a single lumber producer. So it just seemed to be make good business sense on both sides. LSJ: You noted in your last quarterly results that Conifex was able to achieve results that paralleled the major forest companies. How are you able to do that? KS: To us, it was a very pleasant surprise to have narrowed the gap with the major forest companies as quickly as we did. I know there are some other independent sawmill companies that would have superior results to what we and the majors have achieved. But in our case, we think it demonstrates the quality of our fibre baskets and it demonstrates the flexibility and value of our marketing approach because clearly we have not put the money into fixed assets and conversion facilities, as the other majors have. That’s why I think we’re getting offsets in those two other areas. LSJ: You have put some capital in mill facilities. What has that achieved so far, and how do you expect that investment to pay off in the future? KS: To put things into perspective, we paid $33.5 million for the power plant and sawmills at Mackenzie, and $13 million for the sawmill at Fort St. James and we’ve probably spent about an additional $40 million or so. So, in total we have spent a bit over $100 million for all our operations—and I know some of the majors have spent over $100 million on a single mill. The money we have spent so far has been at Fort St. James and virtually all of it has been focused on the kiln drying, finishing, and trimming parts of the business. We’ve spent very little on the sawmill at Fort St. James to date, though we will have to spend some additional money over the next 18 months or so. At Mackenzie, we are unlikely to spend any significant capital there until we have some resolution to our proposed co-generation facility there. LSJ: You’ve got the fibre, and you’ve got people on the marketing side. You must also have some good people on the sawmill side. KS: We’re very pleased with the quality of people in Fort St. James and Mackenzie, and their loyalty to their communities, and the fact that they were available to us when we resumed sawmill operations. Considering the fact that the previous owners of both mills underinvested in those facilities for about a decade, I think we and our people are doing tremendously well given the degree of upgrades and modernization that should have taken place over the last decade, but didn’t. We’ve got some catch-up to do on capital expenditures spending. We think most of the investing will take place with cash flows once lumber markets improve. It’s really going to be the health of lumber prices that is going to determine the speed with which we upgrade and modernize those mills. 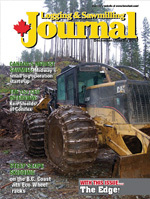 LSJ: Canfor recently bought two Tembec sawmills in southeastern B.C. Have you thought about purchasing additional facilities? KS: We’re always mindful of other opportunities to invest our shareholder’s money intelligently and get a good return on it. What we find in B.C. is that most of the existing operators have a solid financial underpinning, so we’re unlikely to see future distress sales like we did with Abitibi in Mackenzie and the receivers for Pope and Talbot in Fort St. James. The other limit to our acquisition appetite in B.C. is that there aren’t many fibre baskets available that have the same characteristics as Fort St. James and Mackenzie. So I guess we have to be prepared to look outside of the province, and we’re unlikely to do anything along those lines until we’ve demonstrated we really have our core business performing very well. We don’t want to dilute our efforts in new geographic areas until we get everything in our home court up to par. LSJ: It does seems like you’re doing well in that home court. KS: We’re very fortunate in that Kevin Horsnell joined us as chief operating officer about a year ago. Kevin’s background is as a forester with Canfor, and he was the former manager of Canfor’s Houston mill which produces as much lumber in one site as we do corporately today. He has done a very good job of tightening up our log delivery specifications, changing our primary cutting protocols, and really helping us do our kiln drying and finishing, to move us up the grade outturn spectrum. He has us on a very good trajectory and we hope it continues. LSJ: How does the proposed $50 million co-gen facility in Mackenzie fit with the company and what are your thoughts on how bio-energy fits with the industry going forward? KS: We really embrace and agree with the conclusions of the Forest Products Association of Canada. Being candid in conveying their conclusions, they view the traditional forest products industry sector as a bit of a melting iceberg type of business, and the only way that it will stay modern and relevant and deliver security of employment and return to shareholders is by augmenting the traditional facilities with some new businesses. That’s exactly how we feel—we think there’s a lot more we can do with the fibre basket under our control, and that the 15 per cent or so of each log that ends up as sawdust, shavings and bark can be put to much better use. We’re exploring ways to do that. The co-generation or electric power business made a huge amount of sense to us because one, we have a lot of the infrastructure in place to be in that business, and number two, the technology has been proven. It’s been solid for five or more decades. So it’s not a big risky venture for us. Beyond that, we think we will be in some other bio energy or bio product businesses down the road. We’re closely monitoring developments in the torrefied pellets business; we think that might have some potential. A torrefied pellet strikes us as being a bit more of an energy product whereas a conventional pellet today is more of a woody biomass product. We want to get further down the value chain and have some revenues for our company that track energy prices, not just forest product prices.